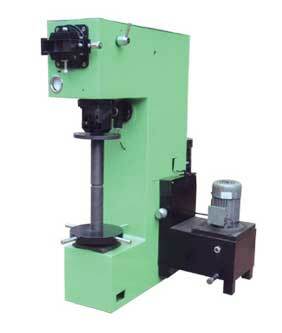 Brinell Hardness Testing Machine we offer are precision engineered to IS:2281- 1968, BS:240 and ASTM:E10. The Brinell Hardness Testing Machines are ideal for production testing. The unmatched performance of the Brinell Hardness Testing Machine in respective application has made the Hardness Testing Machine an ideal choice of various industries.